For searing sun and biting bugs these half-finger gloves pack UPF 50 protection and proven Insect Shield® tech. Simms' BugStopper® SunGlove™ s are cut from UPF 50 SolarFlex® stretch fabric with inherent Insect Shield® protection. 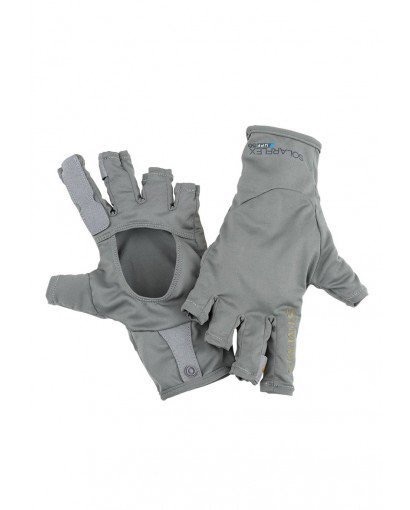 Half-finger construction extends coverage on index and middle fingers for stripping durability. Gloves also feature added length at the wrists, with pairing snaps for convenient storage.